One month before the holding of the United Nations Human Rights Council scheduled from 10 to 28 September 2018, FRODEBU Nyakuri Iragi RyaNdadaye party asks for the non-extension of the mandate of the UN Commission of Inquiry on Burundi. “The action of this commission is necessary since it does not contribute to the strengthening of democracy, the cohesion of the Burundian people and the stability of the country,” reads the statement released on 16 August by Kefa Nibizi, chairman of FRODEBU Nyakuri Iragi Rya Ndadaye. Burundi has legal institutions and instruments to report all human rights violations in all circumstances even during election periods, says Nibizi adding that the security and human rights situation is considerably improving in Burundi. He calls on the members of the United Nations Human Rights Council not to renew the mandate of the UN Commission of Inquiry on Burundi. As for Pierre Célestin Ndikumana, chairman of the parliamentary group of Amizero y’Abarundi opposition coalition, he asks that the mission of the commission be extended arguing that human rights violations persist in the country. “Burundians who have fled insecurity have not yet returned because peace and security is not yet restored and the amendment to the new Constitution that excludes political parties of the opposition from institutions creates a climate of tension in the country,” says Ndikumana. For him, the absence of war does not mean peace. “Even though Burundi seems to be calm, the human rights situation is deteriorating,” says MP Ndikumana arguing that opposition supporters are frustrated. The Commission of Inquiry on Burundi was created on September 30, 2016 by Resolution 33/24 of the United Nations Human Rights Council. It has a mandate to conduct a thorough investigation into human rights violations and abuses committed in Burundi since April 2015, identify alleged perpetrators and make recommendations. It had a one-year term that was extended to another year on September 29, 2017 by the United Nations Human Rights Council. 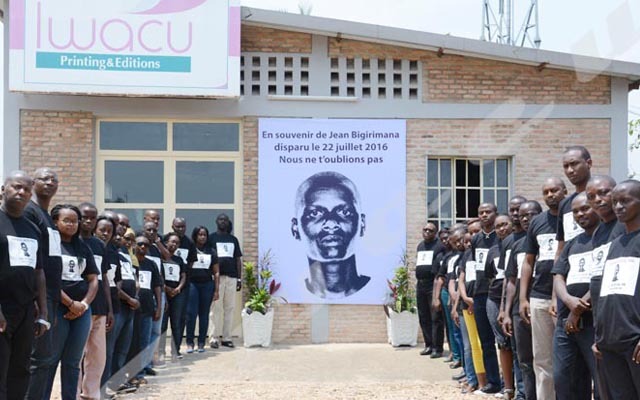 Ahead of the 39th session of the UN Human Rights Council held on 8 August, some human rights organizations including Human Right Watch have already call for the renewal of the mandate of the UN Commission of Inquiry on Burundi.